The international tournament “Offene Matte Leipzig 2019” was held on January 26 in Leipzig. 90 athletes took part in the competition. The representatives of the German Sambo Federation: secretary-general Olena Liepold and vice-president, legend of the world and German Sambo Bern Bachmann attended the tournament as honored guests. For many German athletes this tournament is the first start in their sports career. 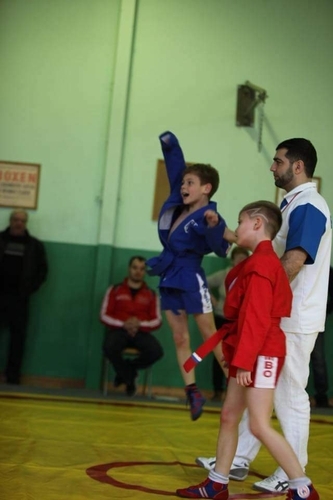 The youngest talents of 4 years old fought at the tournament. They have already demonstrated a very good technique and the will for struggle. In the team competition the places were distributed as follows.